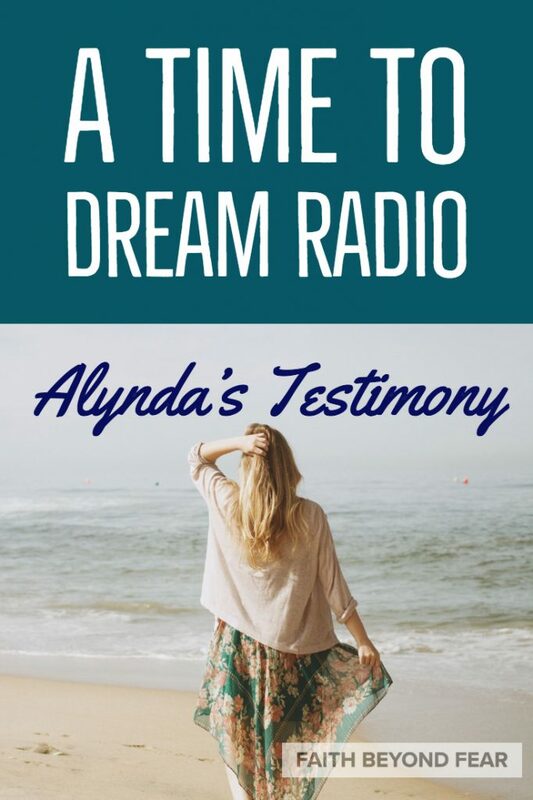 Today we are sharing a radio interview featuring the story the Lord has written (and continues to write) in the life of our founder and editor, Alynda Long. We pray God’s story in her life blesses you! Please feel free to leave a comment below with any ways we may come alongside you and pray with you. NOTE: This interview is not meant for little ears. Alynda lives in Dallas, Texas with her husband and their two youngest daughters. She has a heart for God’s people who struggle with fear and anxiety. A redeemed survivor of sexual and physical abuse, she loves sharing God’s healing story with her brothers and sisters in Christ. She is a writer, blogger, encourager, editor, wife, mother, and grandmother. Intensely passionate about helping other women achieve healing from sexual abuse/assault, Alynda serves as a lay leader in a recovery ministry at her home church. She loves speaking with women about the healing the Lord has for them in all areas of their lives. She adores making friends (sometimes to her introverted husband’s chagrin) everywhere she goes. 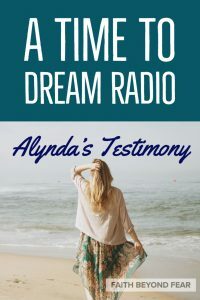 In addition to writing, editing, and maintaining faithbeyondfear.com, you may find her at alyndalong.com where she writes about understanding God’s great love for us. She contributes monthly to the website, A Wife Like Me. 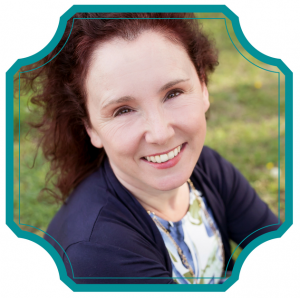 Along with other women with a heart for ministry, she encourages women Seeking God in the Hard Places on Facebook. A member of ACFW, Word Weavers, International, and Roaring Lambs, she is completing her first manuscript.